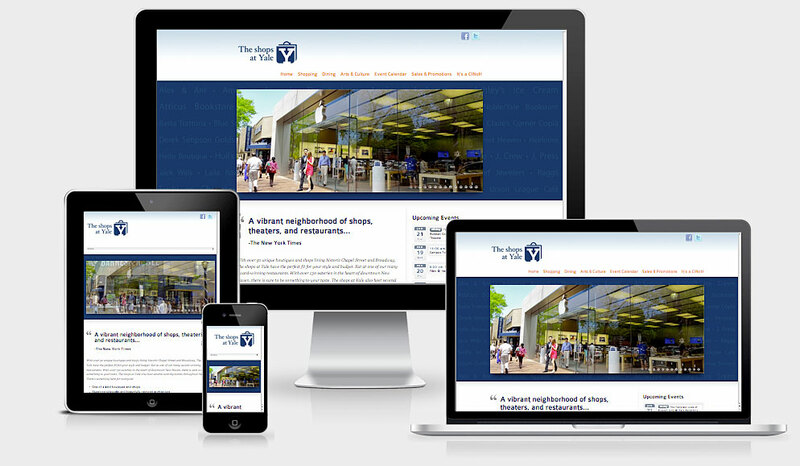 We created a mobile-optimized directory site for the merchants in the downtown New Haven area known as “The Shops at Yale.” The site contains both shopping and dining directories with detailed information and a Google Map for each merchant. 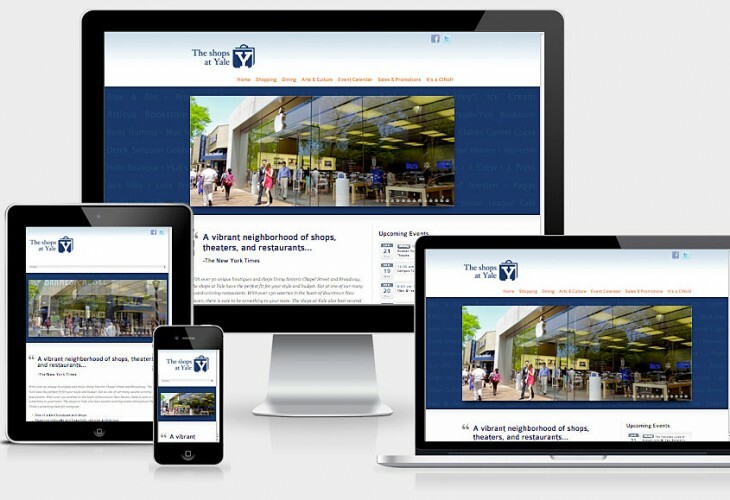 The site’s homepage boasts a large slideshow that showcases photographs of the downtown area, and is optimized to allow the merchants high ranking exposure in Google searches. The layout is responsive, which means it responds nicely to the size of the screen on which it is being viewed. Looks great on a smart phone!